The innovations in logic transistor technology developed by Carlos H. Díaz have revolutionized the foundry industry and provided semiconductor companies the ability to bring devices to market more quickly and cost effectively. Díaz has successfully developed multiple generations of foundry technology from 0.18µm forward. He has demonstrated that it is possible to provide a flexible high-density transistor technology platform that supports multiple device segments with minimal burden on manufacturing. Of note is his work on the 28-nm generation, which meets the needs of both high-performance and low-power applications. The 28-nm high-K/metal-gate transistor technology has set the foundry industry standard in performance-power space coverage on a wide range of devices such as cellular/mobile computing, graphics processors, field-programmable-arrays, and central processing units. 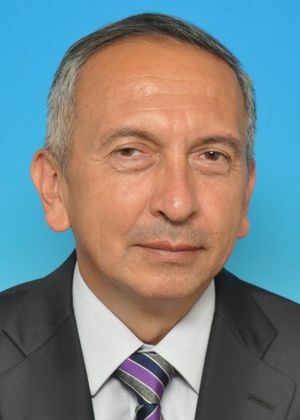 An IEEE Fellow, Díaz is the director of Logic Technology Advanced Development Division with Taiwan Semiconductor Manufacturing Co., Hsinchu, Taiwan. This page was last edited on 1 May 2018, at 14:52.